This week I am deviating from my own rules, as this Friday’s Wedding Dress is from neither the V&A’s or Te Papa’s collection. It is from Vinka Lucas’ Wedding Empire! The marvellous Vinka Lucas is the topic of Lucy Hammond’s Unveiled lecture on Sunday 18 March at 11am. 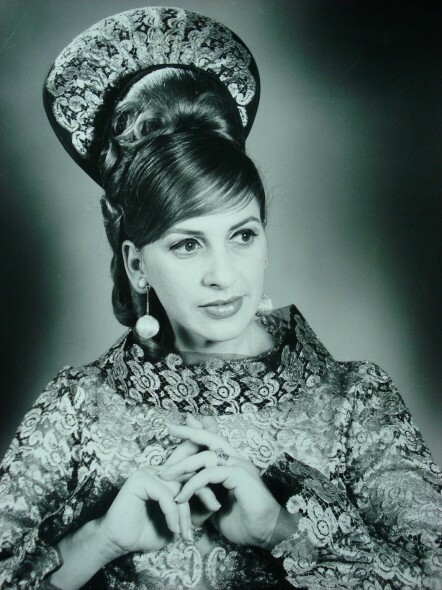 Vinka, pictured below, is one of New Zealand fashion history’s most idiosyncratic and extravagant personalities. Vinka trained in dressmaking and design as a teenager in her home country of Croatia, and immigrated to New Zealand in 1951. Vinka was working hard to save her fare to return to her home country in order to start her own fashion business when she met and fell in love with David Lucas. Her travel plans soon made way for wedding bells, and Vinka turned her attention toward making the gown-of-all-gowns – her own wedding gown. Vinka’s gown featured 500 metres of hand-pleated tulle and Chantilly lace, the weight of which required curtain wire as support. In 1980 she laughingly described her wedding gown to the New Zealand Woman’s Weekly as ‘the greatest monster I have ever created’. Vinka Lucas on her wedding day. Photograph Belwood Studios, Auckland, Courtesy of Vinka Brides. Following their wedding, the newly-weds settled in Hamilton. 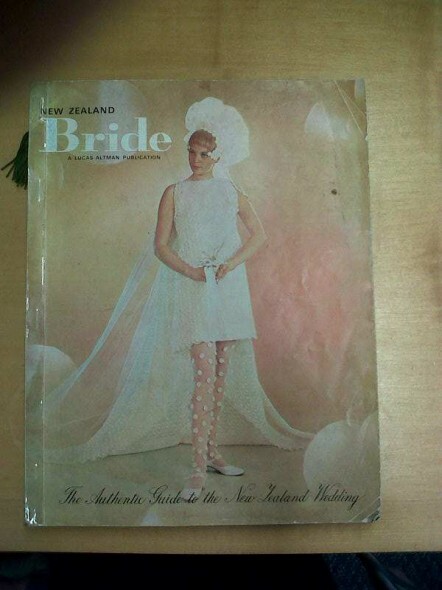 From the moment the Croatian-born designer opened the doors of her first Hamilton boutique – Maree de Maru – in the 1960s, New Zealand brides were offered a fashion experience like no other. As the NZ Women’s Weekly commented ‘Waikato society had never seen anyone quite like the extravagant Vinka – or her designs – and business blossomed’. Success saw the couple relocate to Auckland in the late 1960s. Her clientele came to include glamorous women who had a taste for the exotic and wanted to stand-out from the crowd. Naturally, this included celebrities, several Miss New Zealands and the young Paula Ryan, who was New Zealand’s 1969 entrant in the Rose of Tralee pageant. Promotional campaign for Maree de Maru. Vinka established a range of labels for different occasions, including Maree de Maru, Vinka Lucas After Five, Vinka Lucas Couture, and for the bride-to-be Vinka Brides. The latter continues to operate today under the creative direction of the Lucas’s daughter, Anita Turner-Williams. 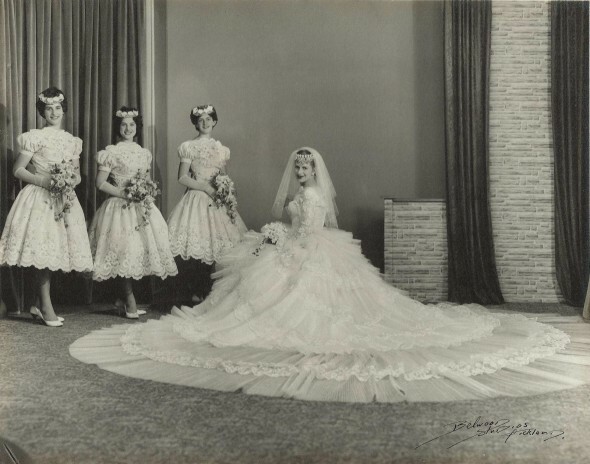 In the 1960s, Vinka and David, who was an entrepreneur at heart, developed a unique bridal service. The Lucas’ developed a nation wide pattern service and a magazine, New Zealand Bride: the Authentic Guide to the New Zealand Wedding – a ‘reference book’ for ‘brides and their families to help them plan their wedding and new home’. Naturally, the pattern service and magazine starred Vinka’s designs. New Zealand Bride: The Authentic Guide to the New Zealand Wedding was published annually as a ‘reference book’ for brides and their families, by Lucas-Althman. The cover features a gown called ‘Champtalisa’ made from Italian crocheted lace. It is by Vinka Lucas. In her illustrated talk, Lucy will delves into the world of Vinka Brides, and showcase some of Vinka’s most striking wedding designs from her extensive career. Lucy Hammonds is the Curator of Design Collections at Hawke’s Bay Museum and Art Gallery, Napier. She has a special interest in New Zealand fashion design, and was co-author of The Dress Circle – New Zealand Fashion Design since 1940 (Random House, 2010). If I have a chance to talk to Vinka I would like her to be my wedding dress designer. I like classic and vintage looking wedding dress and she is the perfect one who can do it for people like me. I am currently looking for a photographer from http://www.mergephotography.com.au that is good in vintage photography. I am glad you enjoyed it. Lucy Hammonds has written a more detailed piece on Vinka and David Lucas’ Wedding Empire for the Hawke’s Bay Museum and Art Gallery’s blog http://hbmagblog.com/. 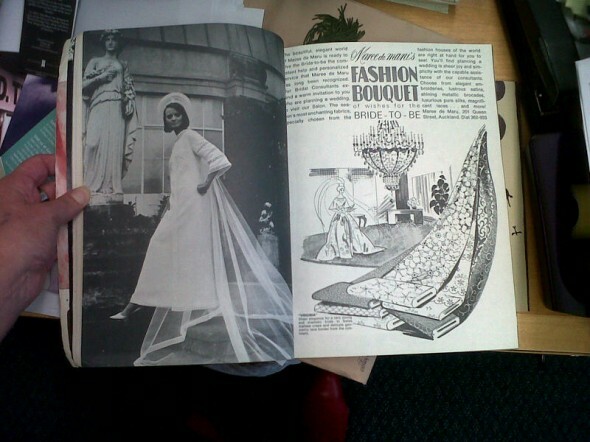 The piece includes images of a wonderful gown in their own collection.